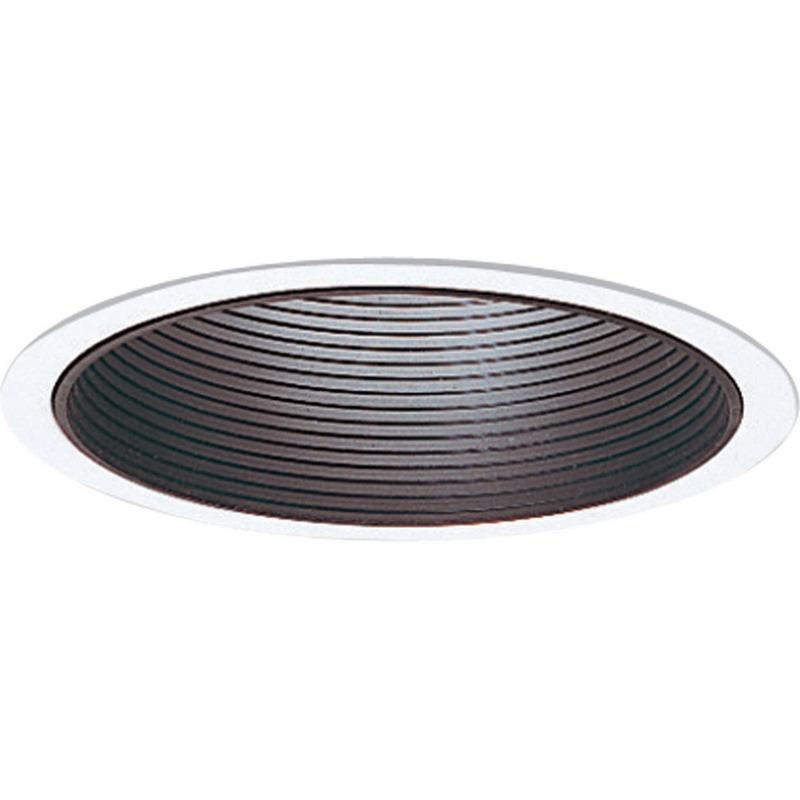 Progress Lighting Recessed - Trim Collection Vertical lamp 6-Inch recessed step baffle trim in black finish, features one-piece aluminum construction. This utilitarian/commodity recessed step baffle trim accommodates one 13-Watt quad compact fluorescent, 150-Watt PAR38, 75-Watt PAR30 short neck, 40-Watt A-19, 75-Watt PAR30L/FL lamp. This round trim is ceiling mountable. Trim-lok action forces trim to fit snugly against the ceiling. Trim is UL/cUL listed.